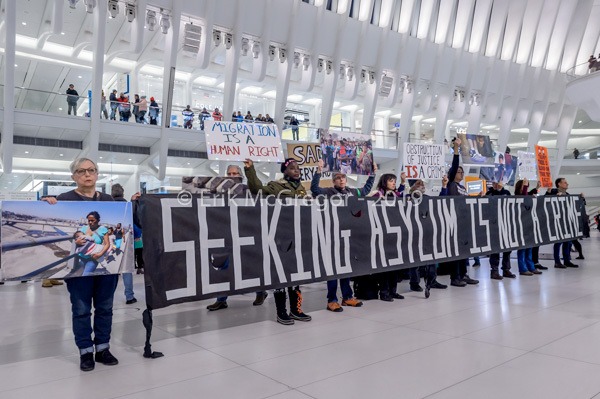 New York, NY – Members of the local activist group Rise And Resist organized a silent protest on January 17, 2019 at the Oculus at the World Trade Center, calling on the Trump administration to immediately process all asylum seekers. 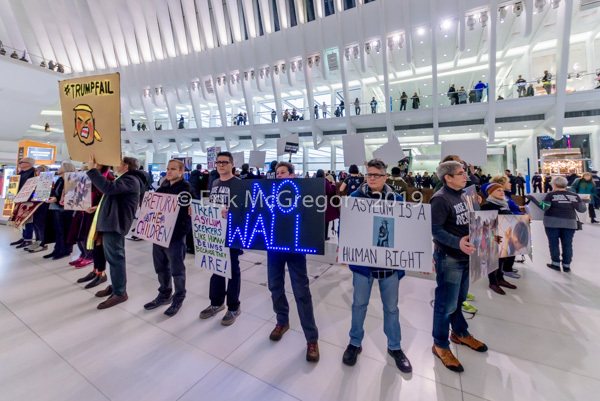 The focus of the demonstration was to raise awareness and to inform the public that seeking asylum is not a crime; there is no national security emergency on the border; there is a humanitarian emergency that can not be remedied by building a wall. 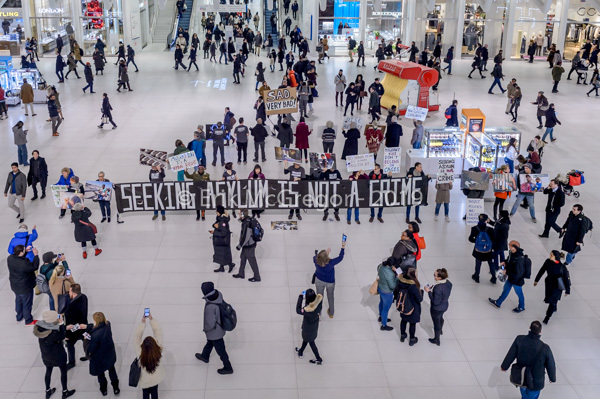 Crossing a border to seek asylum is a right guaranteed by the Universal Declaration of Human Rights. It is also established in U.S. law. Yet our government treats asylum seekers not only as criminals but as enemies of the state. 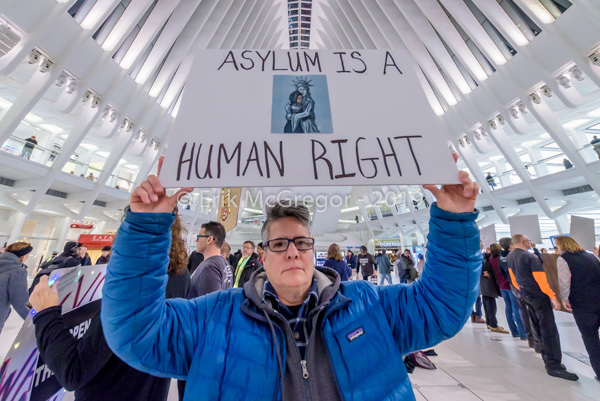 Activists were carrying banners, photographs, and placards to remind everyone that there are thousands of refugees being prevented by the U.S. Department of Homeland Security from legally seeking asylum at a port of entry. 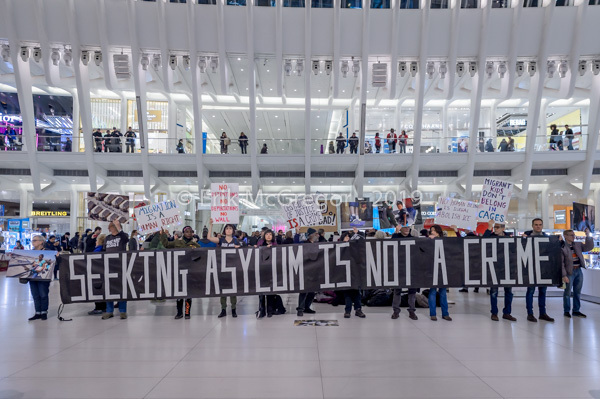 We call on the Trump administration to immediately process all asylum seekers on the border, and to stop arresting and detaining refugees. 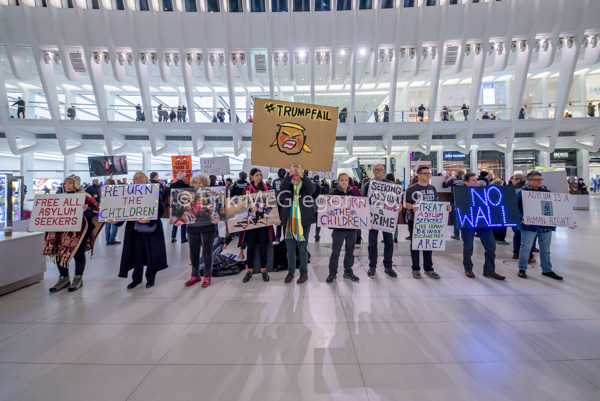 No Wall! No Detentions! 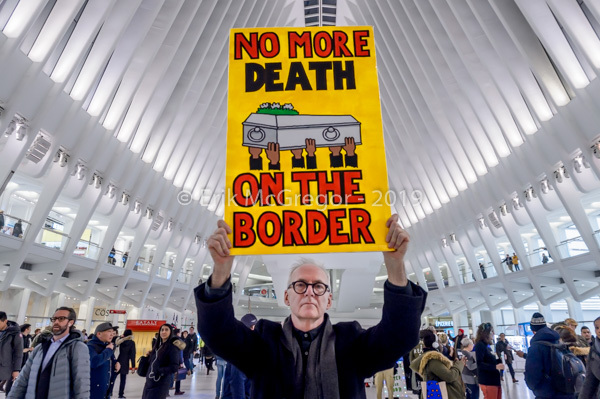 No Deportations!